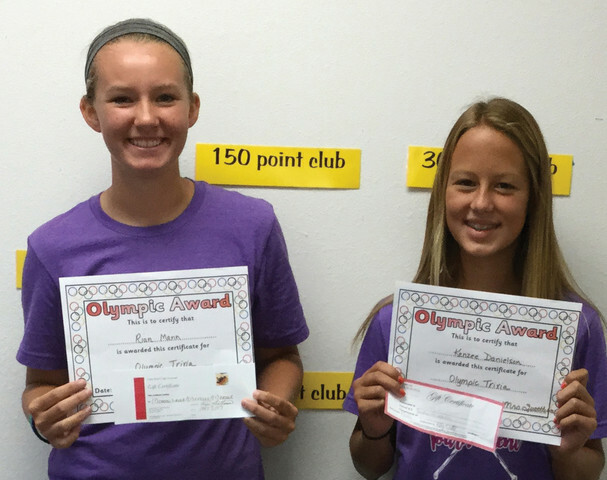 Leedey Eighth grade Olimpic trivia winners were Rian Mann and Kenzee Danielson. Not picture is Haley Castle who was the winner of the Junior class. The winners won a meal at a local restaurant. Cheyenne Robotics Places Third at State!